Semarchy was pleased to return as a Platinum sponsor of this world-class event. Michelle Vercellino explaining how IMA pulled together 96 loose applications and legacy systems to support the business with a meaningful master data and governance framework that has paid big dividends. Michelle Vercellino is the Chief Information Officer for The IMA Financial Group, Inc., leading the company in enabling innovative business solutions through supporting technologies and partnering with The IMA Financial Group’s business units and subsidiaries to facilitate growth, scalability and operational efficiencies. Prior to joining IMAFG in early 2017, Michelle was a Practice Area Leader at Slalom Consulting responsible for Strategy & Operations. Her career includes driving revenue growth, transformative technology implementations, asset creation, client management and delivery excellence- with an inclusive focus on helping companies solve challenging problems and create effective solutions to increase customer value. Her clients have included companies in the telecommunications, high-tech, banking, fast casual restaurants, and energy industries. Before joining Slalom, Michelle served as the Vice President of Support Operations for the nation’s largest independent provider of ATM services. She oversaw contact and technology centers, field operations analytics, business restructuring and large process improvement initiatives. Michelle earned a Bachelor of Science degree with honors from The University of Colorado in Boulder, with an emphasis concentrated on analytics, operations and international business. She is a certified Lean and Six Sigma Master Black Belt. You’ve built a beautiful dashboard, understand meaningful KPIs, and have the executive team eating from your hand with enticing data visualization. It’s a great start; but how do you align information, applications, processes and people to succeed with immediate outcomes and long term maturity? Michelle will discuss how an Intelligent Data Hub with collaborative governance helps you achieve this. 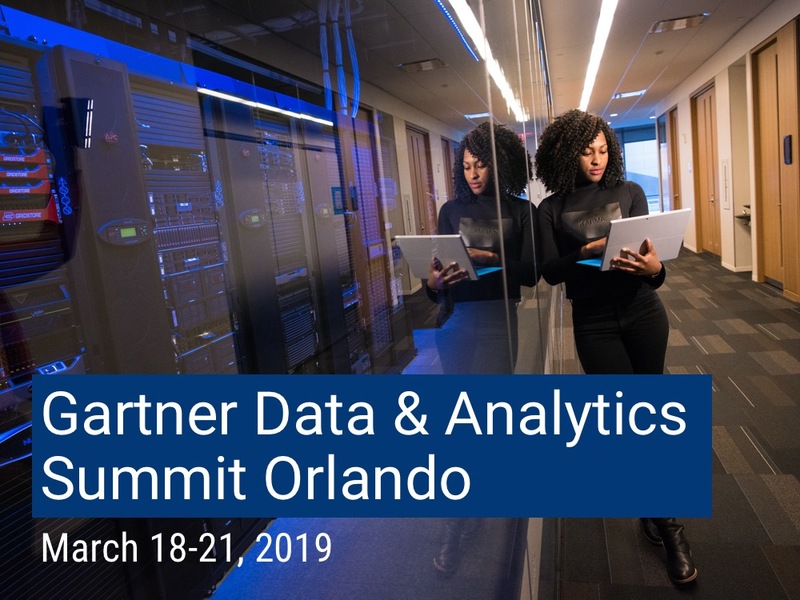 The Gartner Data & Analytics Summit US event is one of the largest and most critical events of its kind. Nowhere else can you expect to network with 3000+ peers, evaluate 100+ vendors, engage with 60+ analysts and learn from 150+ research-driven sessions. All those numbers add up to the can’t-miss event of the year! We were pleased to be able to share during this event that Semarchy was named March 2019 Customers’ Choice for Master Data Management Solutions. Read the press release to learn more.